In philosophy, ideas are usually taken as mental representational images of some object. Ideas can also be abstract concepts that do not present as mental images. Many philosophers have considered ideas to be a fundamental ontological category of being. The capacity to create and understand the meaning of ideas is considered to be an essential and defining feature of human beings. In a popular sense, an idea arises in a reflexive, spontaneous manner, even without thinking or serious reflection, for example, when we talk about the idea of a person or a place. A new or original idea can often lead to innovation. One view on the nature of ideas is that there exist some ideas (called innate ideas) which are so general and abstract that they could not have arisen as a representation of an object of our perception but rather were in some sense always present. These are distinguished from adventitious ideas which are images or concepts which are accompanied by the judgment that they are caused or occasioned by an external object. Another view holds that we only discover ideas in the same way that we discover the real world, from personal experiences. The view that humans acquire all or almost all their behavioral traits from nurture (life experiences) is known as tabula rasa ("blank slate"). Most of the confusions in the way ideas arise is at least in part due to the use of the term "idea" to cover both the representation perceptics and the object of conceptual thought. This can be always illustrated in terms of the scientific doctrines of innate ideas, "concrete ideas versus abstract ideas", as well as "simple ideas versus complex ideas". We both assert that there are," I said, "and distinguish in speech, many fair things, many good things, and so on for each kind of thing." "And, moreover, we say that the former are seen, but not intellected, while the ideas are intellected but not seen. Descartes often wrote of the meaning of idea as an image or representation, often but not necessarily "in the mind", which was well known in the vernacular. Despite that Descartes is usually credited with the invention of the non-Platonic use of the term, he at first followed this vernacular use.b In his Meditations on First Philosophy he says, "Some of my thoughts are like images of things, and it is to these alone that the name 'idea' properly belongs." He sometimes maintained that ideas were innate  and uses of the term idea diverge from the original primary scholastic use. He provides multiple non-equivalent definitions of the term, uses it to refer to as many as six distinct kinds of entities, and divides ideas inconsistently into various genetic categories. For him knowledge took the form of ideas and philosophical investigation is the deep consideration of these entities. In striking contrast to Plato's use of idea  is that of John Locke. In his Introduction to An Essay Concerning Human Understanding, Locke defines idea as "that term which, I think, serves best to stand for whatsoever is the object of the understanding when a man thinks, I have used it to express whatever is meant by phantasm, notion, species, or whatever it is which the mind can be employed about in thinking; and I could not avoid frequently using it." He said he regarded the book necessary to examine our own abilities and see what objects our understandings were, or were not, fitted to deal with. In his philosophy other outstanding figures followed in his footsteps — Hume and Kant in the 18th century, Arthur Schopenhauer in the 19th century, and Bertrand Russell, Ludwig Wittgenstein, and Karl Popper in the 20th century. Locke always believed in good sense — not pushing things to extremes and on taking fully into account the plain facts of the matter. He considered his common-sense ideas "good-tempered, moderate, and down-to-earth." As John Locke studied humans in his work “An Essay Concerning Human Understanding” he continually referenced Descartes for ideas as he asked this fundamental question: “When we are concerned with something about which we have no certain knowledge, what rules or standards should guide how confident we allow ourselves to be that our opinions are right?”  A simpler way of putting it is how do humans know ideas, and what are the different types of ideas. An idea to Locke “can simply mean some sort of brute experience.”  He shows that there are “No innate principles in the mind.”. Thus, he concludes that “our ideas are all experiential in nature.”  An experience can either be a sensation or a reflection: “consider whether there are any innate ideas in the mind before any are brought in by the impression from sensation or reflection.”  Therefore, an idea was an experience in which the human mind apprehended something. In a Lockean view, there are really two types of ideas: complex and simple. Simple ideas are the building blocks for much more complex ideas, and “While the mind is wholly passive in the reception of simple ideas, it is very active in the building of complex ideas…”  Complex ideas, therefore, can either be modes, substances, or relations. Modes are when ideas are combined in order to convey new information. For instance, David Banach  gives the example of beauty as a mode. He says that it is the combination of color and form. Substances, however, is different. Substances are certain objects, that can either be dogs, cats, or tables. And relations represent the relationship between two or more ideas. In this way, Locke did, in fact, answer his own questions about ideas and humans. Wundt widens the term from Kant's usage to include conscious representation of some object or process of the external world. In so doing, he includes not only ideas of memory and imagination, but also perceptual processes, whereas other psychologists confine the term to the first two groups. One of Wundt's main concerns was to investigate conscious processes in their own context by experiment and introspection. He regarded both of these as exact methods, interrelated in that experimentation created optimal conditions for introspection. Where the experimental method failed, he turned to other objectively valuable aids, specifically to those products of cultural communal life which lead one to infer particular mental motives. Outstanding among these are speech, myth, and social custom. Wundt designed the basic mental activity apperception — a unifying function which should be understood as an activity of the will. Many aspects of his empirical physiological psychology are used today. One is his principles of mutually enhanced contrasts and of assimilation and dissimilation (i.e. in color and form perception and his advocacy of objective methods of expression and of recording results, especially in language. Another is the principle of heterogony of ends — that multiply motivated acts lead to unintended side effects which in turn become motives for new actions. C. S. Peirce published the first full statement of pragmatism in his important works "How to Make Our Ideas Clear" (1878) and "The Fixation of Belief" (1877). 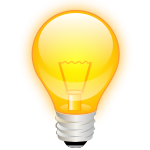 In "How to Make Our Ideas Clear" he proposed that a clear idea (in his study he uses concept and idea as synonymic) is defined as one, when it is apprehended such as it will be recognized wherever it is met, and no other will be mistaken for it. If it fails of this clearness, it is said to be obscure. He argued that to understand an idea clearly we should ask ourselves what difference its application would make to our evaluation of a proposed solution to the problem at hand. Pragmatism (a term he appropriated for use in this context), he defended, was a method for ascertaining the meaning of terms (as a theory of meaning). The originality of his ideas is in their rejection of what was accepted as a view and understanding of knowledge by scientists for some 250 years, i.e. that, he pointed, knowledge was an impersonal fact. Peirce contended that we acquire knowledge as participants, not as spectators. He felt "the real", sooner or later, is information acquired through ideas and knowledge with the application of logical reasoning would finally result in. He also published many papers on logic in relation to ideas. G. F. Stout and J. M. Baldwin, in the Dictionary of Philosophy and Psychology, define idea as "the reproduction with a more or less adequate image, of an object not actually present to the senses." They point out that an idea and a perception are by various authorities contrasted in various ways. "Difference in degree of intensity", "comparative absence of bodily movement on the part of the subject", "comparative dependence on mental activity", are suggested by psychologists as characteristic of an idea as compared with a perception. It should be observed that an idea, in the narrower and generally accepted sense of a mental reproduction, is frequently composite. That is, as in the example given above of the idea of a chair, a great many objects, differing materially in detail, all call a single idea. When a man, for example, has obtained an idea of chairs in general by comparison with which he can say "This is a chair, that is a stool", he has what is known as an "abstract idea" distinct from the reproduction in his mind of any particular chair (see abstraction). Furthermore, a complex idea may not have any corresponding physical object, though its particular constituent elements may severally be the reproductions of actual perceptions. Thus the idea of a centaur is a complex mental picture composed of the ideas of man and horse, that of a mermaid of a woman and a fish. It has been pretended by some, (and in England especially,) that inventors have a natural and exclusive right to their inventions, and not merely for their own lives, but inheritable to their heirs. But while it is a moot question whether the origin of any kind of property is derived from nature at all, it would be singular to admit a natural and even a hereditary right to inventors. It is agreed by those who have seriously considered the subject, that no individual has, of natural right, a separate property in an acre of land, for instance. By a universal law, indeed, whatever, whether fixed or movable, belongs to all men equally and in common, is the property for the moment of him who occupies it, but when he relinquishes the occupation, the property goes with it. Stable ownership is the gift of social law and is given late in the progress of society. It would be curious then, if an idea, the fugitive fermentation of an individual brain, could, of natural right, be claimed an exclusive and stable property. If nature has made any one thing less susceptible than all others of exclusive property, it is the action of the thinking power called an idea, which an individual may exclusively possess as long as he keeps it to himself; but the moment it is divulged, it forces itself into the possession of every one, and the receiver cannot dispossess himself of it. Its peculiar character, too, is that no one possesses the less, because every other possesses the whole of it. He, who receives an idea from me, receives instruction himself without lessening mine; as he who lights his taper at my mine, receives light without darkening me. Those ideas should freely spread from one to another over the globe, for the moral and mutual instruction of man, and improvement of his condition, seems to have been peculiarly and benevolently designed by nature, when she made them, like fire, expansible over all space, without lessening their density in any point, and like the air in which we breathe, move, and have our physical being, incapable of confinement or exclusive appropriation. Inventions then cannot, in nature, be a subject of property. Society may give an exclusive right to the profits arising from them, as an encouragement to men to pursue ideas which may produce utility, but this may or may not be done, according to the will and convenience of the society, without claim or complaint from anybody. Accordingly, it is a fact, as far as I am informed, that England was, until we copied her, the only country on earth which ever, by a general law, gave a legal right to the exclusive use of an idea. In some other countries it is sometimes done, in a great case, and by a special and personal act but, generally speaking, other nations have thought that these monopolies produce more embarrassment than advantage to society. To protect the cause of invention and innovation, the legal constructions of Copyrights and Patents were established. Patent law regulates various aspects related to the functional manifestation of inventions based on new ideas or incremental improvements to existing ones. Thus, patents have a direct relationship to ideas. ^ a b Audi, Robert, ed. (1995). Cambridge Dictionary of Philosophy. Cambridge; New York: Cambridge University Press. p. 355. ISBN 0-521-40224-7. ^ "What is an Idea?". AeyTimes Idea Journal. 2011. ^ "Definition of idea in English". Oxford English Dictionary. Oxford University Press. 2014. ^ Locke, John (1689). "Introduction". An Essay Concerning Human Understanding . § What Idea stands for. – via Wikisource. ^ a b Locke, John. "An Essay Concerning Human Understanding." (n.d.): An Essay Concerning Human Understanding Book, I: Innate Notions. ^ Sheridan, Patricia. Locke: A Guide for the Perplexed. Continuum, 2010. Continuum Guides for the Perplexed. EBSCOhost, nsearch.ebscohost.com/login.aspx?direct= true&db=e862xna&AN=344177&site=ehost-live. ^ a b c d One or more of the preceding sentences incorporates text from a publication now in the public domain: Chisholm, Hugh, ed. (1911). "Idea" . Encyclopædia Britannica. 14 (11th ed.). Cambridge University Press. pp. 280–281. ^ "Hume's Moral Philosophy (Stanford Encyclopedia of Philosophy)". Plato.stanford.edu. Retrieved 2013-06-15. Consciousness and Intentionality – article at the Stanford Encyclopedia of Philosophy. Da intencionalidade da consciência ao método progressivo regressivo em Husserl From intentional consciousness to progressive regressive method in Husserl) – article at SCIELO, Psicol. USP vol.26 no.1 São Paulo, January / April, 2015 (pt). OS OLHOS DA IDEIA (THE EYES OF IDEA – third and last volume from “The Line of Sight”; this essay projects the essentials of the two preceding ones on film theory, restricting itself to vision and language, opening perspectives on the central concept of idea, from Plato and Aristotle, and analyzing it as motivated by innatism and intentionality – Essay by Ricardo Costa), April 2002 (pt).